A major victory in Australia’s High Court has awarded reparations to the Ngaliwurru and Nungali groups of Aboriginal people from the Northern Territory of Australia. The judgment is especially significant because, in addition to compensating the Ngaliwurru and Nungali for the economic losses they sustained by losing use of their land, the High Court awarded what amounts to damages for the cultural and spiritual losses endured. As in the United States, the land rights of indigenous peoples in Australia were disregarded when the British arrived in 1788. The colonizers declared Australia terra nullius (empty land) and freely built upon it. Two hundred years later, in 1975, Australia passed the Racial Discrimination act; “only then did governments have to treat the property rights of Aboriginal Australians the same as other Australians,” said James Walkley, a native title lawyer with Chalk and Behrendt. It wasn’t until nearly 20 years after that, in 1992, that the original declaration of terra nullius was reversed. In what’s known as the “Mabo decision” (short for Mabo and others v. Queensland [No 2]), the High Court finally recognized that Australia had not, in fact, been terra nullius and that Aboriginal peoples had rights to the land that continue to exist today. In the Northern Territory, construction of roads and water tanks destroyed “dreaming sites,” paths that are spiritually significant to the Ngaliwurru and Nungali peoples and also paths of trade. Elder Jerry Jones said, “I’m really feeling hard for it because this site is very important to us, and all these sites got rid of it.” The High Court recognized 53 separate acts of harm that infringed upon the rights of the Aboriginal people. Jacob Saulwick of the Sydney Morning Herald opined, “If $1.3 million could be awarded for pain and suffering at Timber Creek, which was a small claim area, much larger figures are now likely to be awarded elsewhere.” According to Bill Code at Al Jazeera, lawyers from both sides said this decision paved the way for billions of dollars in compensation. 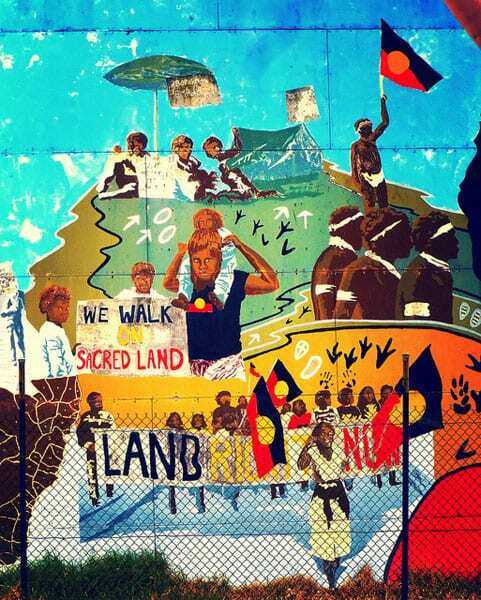 Reparations and land reclamation are part of a longstanding struggle for indigenous rights in Australia, as they are in the United States; just last year, an attempt to establish a trust for Native American farmers from a discrimination settlement was mired in controversy. However, land reclamation has happened through private efforts. A group called Reconciliation Australia, which “promotes and facilitates respect, trust and positive relationships between the wider Australian community and Aboriginal and Torres Strait Islander peoples,” released their biennial Reconciliation Barometer this month, which showed that 90 percent of Australians value the relationship between the settler community and the Aboriginal and Torres Strait Islander people, and 66 percent believe the government should do more to close economic and other gaps between First Peoples and white Australians. Unfortunately, as in the Mabo case, one of the plaintiffs in this case (Northern Territory of Australia v. Mr. A Griffiths [deceased] and Lorraine Jones on behalf of the Ngaliwurru and Nungali Peoples & Anor) passed away before the decision could be finalized. Chris Griffiths stood in for his father, the lead claimant, who died last year. Jacob Saulwick of the Sydney Morning Herald reported that indigenous groups are calling for a voice in Parliament, so they may have a more immediate avenue to make their voices heard. An Australian government grant of $444 million to a nonprofit with six full-time employees raises concerns about the government’s grant process, as well as its strategy for limiting damage to the Great Barrier Reef.